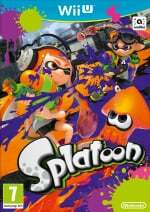 With Splatoon's ink-redible (apologies) popularity, it's only inevitable that Nintendo has been capitalising on the merchandise machine with its hottest new franchise. While the West has been treated to a few things here and there, Japan has certainly had its share of Splatoon spoils since the game's launch in May, such as exclusive plushies. 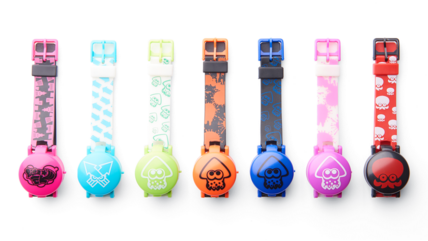 Well the trend continues, for Splatoon watches are now available to buy in the country. The product is being manufactured by Takara Tomy and comes in seven different varieties, each with a pop-open cap to reveal the watch's face and time in digital format. It reminds us of novelty watches we had as children; these are very likely to be child-size, of course. Would you get your tentacles on these if they were available in your region? Those are some cheap looking watches. At least the wrist strap design are kinda nifty. I gotta say that despite the cool exterior design, the interior looks kinda cheap, it's like those watches kiddies use before getting their hands on an authentic first watch. My recommendation would be: Ignore this, just grab yourself a swatch, it's better looking, better designed, doesn't look cheap and you can get your hands on one very easily. You know what's cool about watches? They can't be region-locked, hurr hurr. Most likely, they'll still get here, although their "available for purchase" status will be swapped with a more likely "Nintendo Account reward". My six-year-old would love one of these. Agreed. 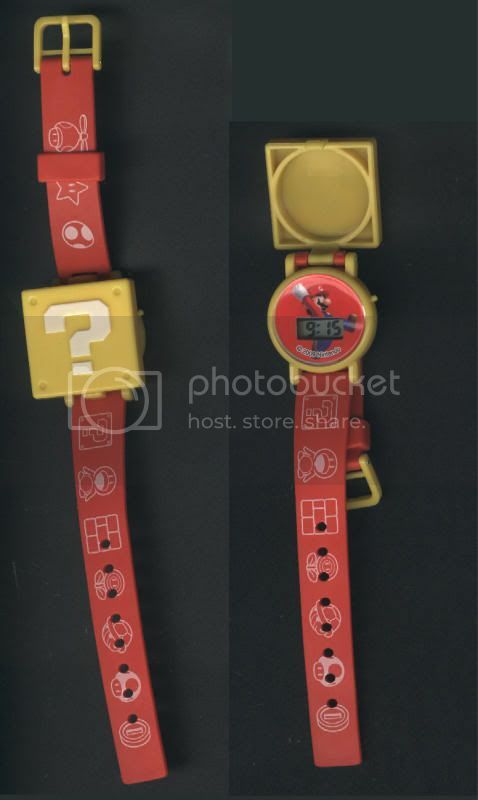 A Nintendo collaboration with Swatch would have been way more interesting. And maybe could result in serious options for different age ranges. I'd totes sport the orange one. 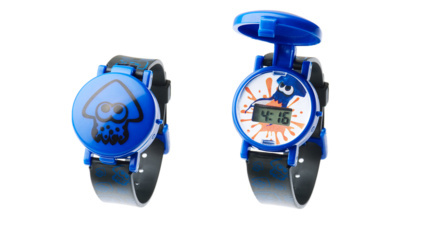 Takara Tomy makes a lot of cheap Nintendo themed watches. I got some Mario watches for 1$ each so i'm hoping these will be in the same "gashapon" price range. That's a cheap looking watch. But I could go for something like this. @marck13 Yeah, just look at the kidrobot/swatch collection, it is simply amazing and well thought. I got myself one of those a couple years ago for $60, it even came bundled with a limited edition kidrobot figurine and the quality is simply marvelous. @JohnBlackstar Oh boy.... I wanted to forget that overrated and overpriced piece of junk, thank you very much for reminding me of that monstrosity. If you are interested in a REAL QUALITY GORGEOUS Super Mario watch, look up the limited edition pocketwatches that Japan launched a couple years ago, that is quality, not that piece if sh*t horrendous watch. @odin6786 I had the same thought... I'd buy one if they made them haha! I am curious if I'm the only one who at first glance thought those were bongs. These are from a gashapon machine, and cost ¥300. There is a youtube channel called "japanesestuffchannel" that these watches were shown in, along with tons more japanese toys, sweets, etc. These are cute! If I were a kid I would wear one. They are about the quality of the watches I wore when I was actually a kid anyway. If I found a gachapon machine with these in it, I would definitely be feeding my money into it to collect as many as I could for my game room. I've beat you to that joke, sadly. Those things look like something you would get out of a cereal box. Well, they're just watches. It's not like they're region-locked, right? .....Right? Japan gets such cool stuff.